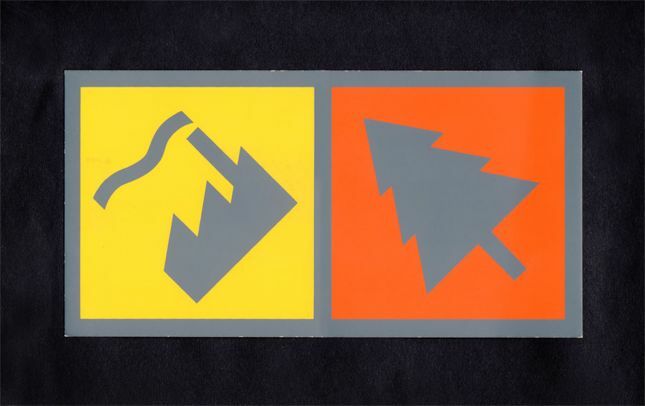 Phill Pennington designed this Christmas card in the same year as the FAC 126 poster as part of the same suite of icons, which would be around 83/84 (I think). The idea was to continue the 'corporate' idea, (I kind of hoped there'd be an icon for everything!) and devise the most minimal image possible.